Do you wish to pursue your massage therapy education on campus or online? Do you want to study in your home state or in another location? Do you want massage therapy degree which is an actual college degree or is a certificate of completion enough? Do you wish to have a National Certification upon completion of your massage therapy education? The answers to these questions will help you determine the right school for you. Before we get started discussing schools there are a few things you need to understand about the requirements to practice as a massage therapist. Every state, and many local communities, set their own Massage Therapist requirements. Most choices of Massage Therapist School lead to a certificate of completion not a college degree. A college degree is not required to practice as a massage therapist. There is no national licensure or certification recognized by all states. The important thing to remember from those statements is that you will need to check with your local state licensing board to determine the requirements to practice. Find out what massage therapist school all about! 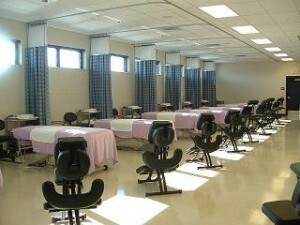 There are two categories of schools for massage therapy, online and on-campus. In most respects the on-campus massage therapy training should be considered as your first choice. The skills you learn with added hands-on opportunities plus the interpersonal skills learned in class can accelerate your success as a massage therapist. This is just a short list of the excellent programs scattered around the USA. All of these programs are accredited by the COMTA – Commission on Massage Therapy Accreditation. This commission is working to bring more consistency into massage therapy education across the nation. Search for a massage therapist school yourself! The programs granting an associate degree consistently train additional modalities of massage along with providing a more balanced educational program. The other major difference is in the amount of time required to complete the course. Most certificate programs are completed in 9 to 12 months, while the Associate Degree programs required 2 years. This list is being limited for only one reason, your own future. Many career choices can be learned online without any problems, but massage therapy is not one of them. You can learn an overview of techniques, but without thorough clinical studies and hands-on training you can never master the various modalities of massage and advanced techniques. Before choosing online courses always evaluate on-campus programs and explore the options for distance learning to reduce your time on-campus. A massage therapy career is a 100% hands-on career and should be learned in the same manner. While evaluating your options for your ideal massage therapist school watch for how many of these massage techniques they offer. The reason it is critical to expand your number of modalities and techniques comes down to one simple fact. You can earn a higher income by having additional skills. Certain forms of massage are ideal for certain conditions and not suited for others. By having a well-rounded and thorough knowledge of massage techniques you can offer services to a higher number of clients and increase your income. With proper promotion and client satisfaction ratings your massage therapy salary could quickly move to the upper tier of sports medicine salary. The salary of a massage therapist can range from $40,000/year to over $80,000/year for full-time practitioners. The MBLEx Licensing Exam is rapidly growing in acceptance by state licensing boards and may replace the NCBTM exam in the near future. Check your choice of schools relationship to either of these exams. Some programs offer study assistance and include taking one or both exams as part of their tuition. In the end, the most important factor to consider is your ability to practice in your state of choice. Review the requirements for your state closely and then you can make a wise choice in choosing the right massage therapist school. What is the number one reason you are considering becoming a massage therapist? There are many great answers to this question, but one answer which comes up consistently is to have a higher paying career. Is a massage therapy salary going to meet your desires? 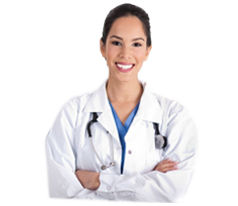 Massage Therapist – Private Practice – $0 to over $100,000/year. Median Massage Therapist Income - $45,000/year. Median Massage Therapist Instructor Income – $60,000/year. Median Licensed Massage Therapist Income – $50,000/year. Did the first entry frighten you? The reality is most massage therapists are not receiving their salary from an employer as is common in many other career choices. A sports medicine salary for most other positions can be much narrower in range due to working for an employer. So How Much Does A Massage Therapist Make? A massage therapist commonly goes into their own practice and sets their own income. If you are a good people person, advertise, and create satisfied clients your income can rapidly climb to the upper levels. Massage therapist income is largely dictated by your own entrepreneurial spirit. It is not a matter of the hours you work, either. Your hourly rates will largely be determined by the quality of service and quality of client communication you provide. A skilled massage therapist with a great personality can make a great income. One time which will be discussed during your massage therapy training is massage therapy insurance. This insurance is to protect you and your practice from financial disaster. The insurance provides you with liability coverage in the case a client claims you caused them injury or other loss. Purchasing massage therapy insurance may be optional, but is a wise choice for protecting your income and future. Anyone who is practicing any type of patient care should consider the possibility of a client complaint. 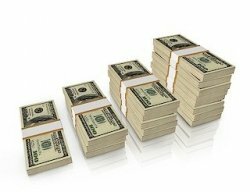 One claim could quickly destroy an entire year’s massage therapy salary. Does The Massage Therapy Salary and Satisfaction Make This a Great Career Choice? An item many people choose to overlook when evaluating the massage therapy salary levels is the ease of entry into the profession. You are not required to spend years in school to launch a massage therapy career which has great growth potential and high levels of personal satisfaction. You can finish your massage therapy training at a great massage therapist school in one year, sometimes less. Where people in many other sports medicine careers may still be studying for 3 to 5 additional years you will already be building a business. You could have established a large client base, hired additional massage therapists, and building a business empire before their first day on the job. Massage therapy is one career where you have the opportunity to create your own amazing future. The adventure to having a successful career as a massage therapist begins with getting the best possible massage therapy training. In addition to evaluating the quality of a school’s program you need to make sure it meets the requirements of the state where you intend to practice. Perhaps the most important step in choosing the right massage therapist school is determining if it meets your states certification or licensing requirements. This is especially true if the school is outside of your home state. If the program in located within your state you can feel confident they are meeting or exceeding the local states requirements. Currently no states require an associate degree to practice as a massage therapist. Most programs result in your receiving a certificate of completion or non-college degree from the school. This does not mean the courses are not intensive. These programs range in length from approximately 500 hours of classroom time to over 1000 hours. The Associate of Applied Sciences degree from the Academy of Natural Therapy requires you complete their 1000 hour massage therapy course before entering into the additional coursework to achieve the degree. Are Massage Therapy Certifications Required? One question which enters the mind of everyone beginning their search for a massage therapist school is whether massage therapy certifications will be required. This question can be very difficult to answer since each state has their own rules and regulations concerning massage therapists. 32 states and the District of Columbia require some form of licensing or certification, while the remaining states have not yet adopted formal requirements. Check in the jurisdiction where you plan to practice to determine if they require either of the certification exams. The Federation of State Massage Therapy Boards is quickly becoming the predominant certification due to backing by multiple state certification boards. In many states you are only required to show you have successfully passed an accredited massage therapy program before beginning to practice. After finishing your journey through massage therapy training it will be time to launch your actual massage therapy career. Massage therapy is a rapidly expanding career choice with a high majority of graduates choosing to start their own private practice. This independence leads to some very diverse levels of massage therapy salary being reported. Massage Therapist Salary – $45,000/year. Licensed Massage Therapist – $50,000/year. The one item which falls off of these figures is the fact massage therapist graduates often choose to work part-time. They may have full-time careers in other sports medicine occupations collecting a full-time sports medicine salary and then have their own part-time massage therapy practice. Massage therapy training will prepare you for an exciting career helping people. It is one career which allows you to help others, while making a good income without multiple years of college. A massage therapy career is filled with two kinds of opportunity. The first opportunity is one sought by almost everyone, a secure financial future. The second opportunity may be even more rewarding, the gift of healing, comfort, and pain relief. A massage therapist career begins with the proper education and training. It is time to examine the requirements and financial rewards of this great career. Becoming a massage therapist takes a different path then most other sports medicine career options. In most states a massage therapist in not required to complete a college degree program, but are only required to successfully pass massage therapy training from an approved school. These programs vary greatly in the number of hours required to pass the course. You will find massage therapy programs which start with only 500 hours of coursework to well over 1000 hours. Detailed information on starting your massage therapy career. While a college degree is not required to enter a massage therapy career there are a few schools who offer the opportunity to acquire an Associate of Applied Science Degree by successfully completing their course. The number of hours training in each massage therapist school is commonly dictated by state regulations. 32 states and the District of Columbia have licensing or certification requirements to work as a massage therapist. The requirements vary significantly. If you will be attending school in one state and practicing massage therapy in another state, it is important to check local requirements. As you can see the classes are highly focused on your career without any excess courses. In the case of programs leading to an Associate Degree you will find added general study courses. Successfully completing your course in massage therapy does not grant you a national certification. Currently there are two primary exams being used. The NCBTMB offers a certification examination which is accepted in some states for licensing or certification. The FSMTB offers a licensing exam, the MBLEx, which has been jointly designed by a number of state boards for their local licensing requirements. The licensing examination from FSMTB has the highest potential of eventually becoming a national standard due to existing multi-state support. Once again, it is important to check with your state and local jurisdiction to discover if either exam is required. Once you have completed the massage therapy training you will be faced with a few difficult decisions. Most massage therapists are self-employed. You will need to decide if you are going to be your own boss or seek employment through a fitness center, medical office, or corporation. 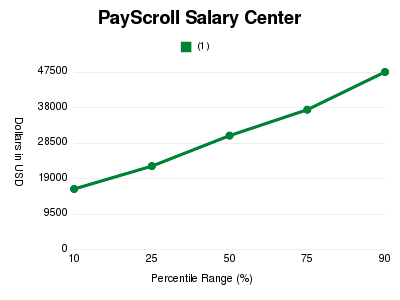 $42,892 per year – Median income across the USA, all Massage Therapists. The interesting thing to note in salary studies is the fact the highest paid massage therapists consistently are self-employed with their own practice. They report it took time to build-up their clientele and practice, but the higher levels of income justify the effort. These salary ranges fit very comparably in the middle of studies of sports medicine salary. Massage therapy is one of the easiest and fastest paths to a sports medicine career. What Job Titles Do Massage Therapists Hold? Keep in mind if you are starting your own practice you should not use terms like Registered or Licensed unless you have met your state’s requirement to carry the title. No matter what title you use to start you massage therapy career, the important thing is to always maintain your focus on client care. It is your reputation of being a skilled and helpful massage therapist which will cause your practice and income to grow.